Future Boeing 777X airline pilots will be able to interact with their flight information displays in the same way that they use their smart phones and tablets. Boeing has decided to integrate a multi-touch interface on the flight deck of the re-engineer wide body due to enter service in 2020, replacing a touch-pad based cursor control device (CCDs) mounted on the aisle-stand of the original 777, says Bob Feldmann, vice president and general manager of the 777X program. 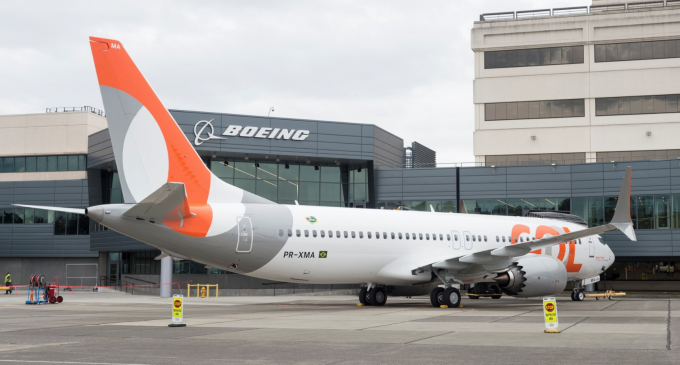 The decision was made so recently that Boeing is not yet able to announce the supplier, as the contract had not been signed as of mid June, Feldmann says. The new technology will be integrated as Boeing transitions from a standard layout of six displays in the 777 cockpit to the 787’s five display format in the 777X. 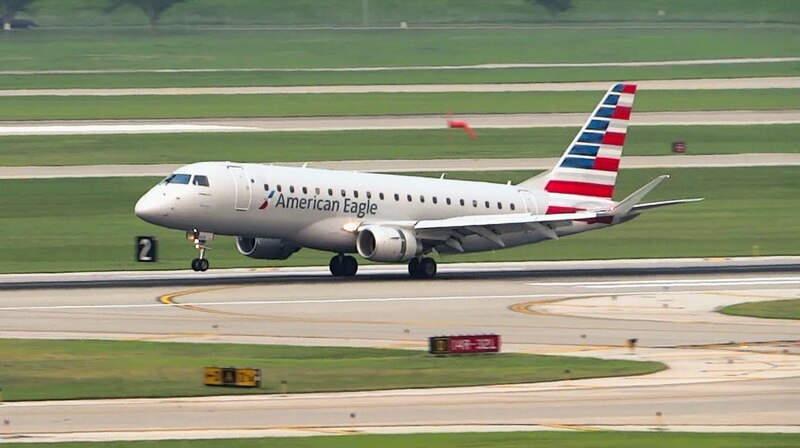 ”We think we are the first Commercial airplane to really make something that is like all our customers are used to doing in their daily lives,” Feldmann says. In discussions with our 777X customers, Boeing received a clear preference for making the transition to multi-touch screens, Feldmann says. The next milestone for the 777-9 development program is a critical design review scheduled earlier next year. Production of the first test aircraft is expected to begin next June, with first flight following in 2018. Cockpit touch screens are one of several key technologies Boeing is developing for the 777X. 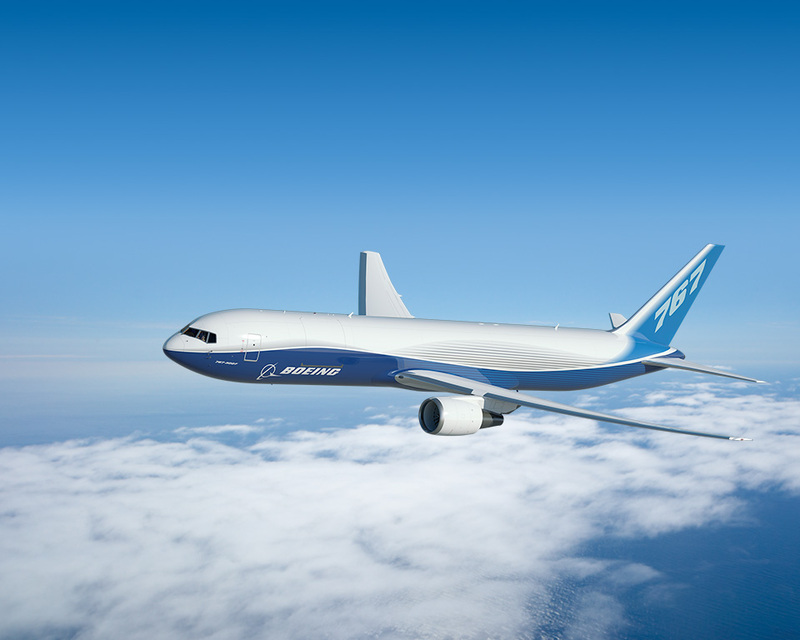 The most visible innovation on the 777X is perhaps Boeing’s plan to integrate folding wingtips, a feature normally found on fighters based on space constrained aircraft carriers. Airbus is working through some high profile issues with the introduction of the A350 and the A320neo to market, but surely wishes those programs were low-profile as the A330neo. 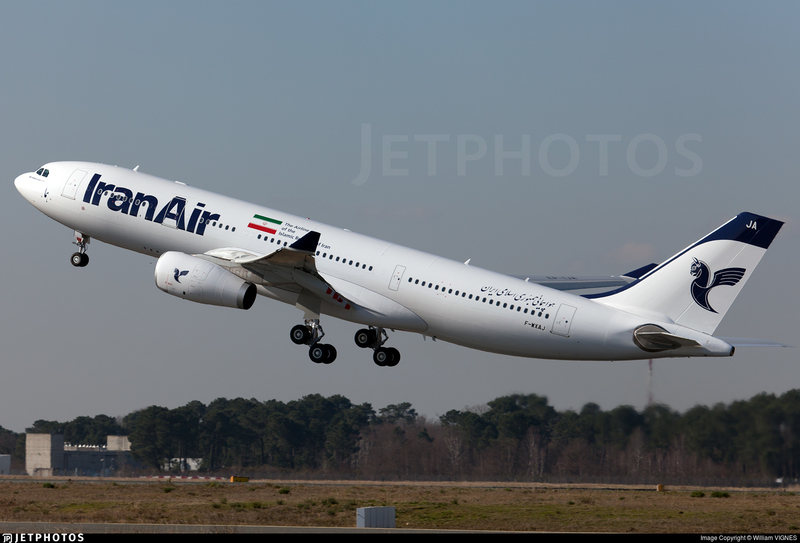 The reengineer A330 program, is progressing more quietly and without major problems that have kept Airbus in the news. 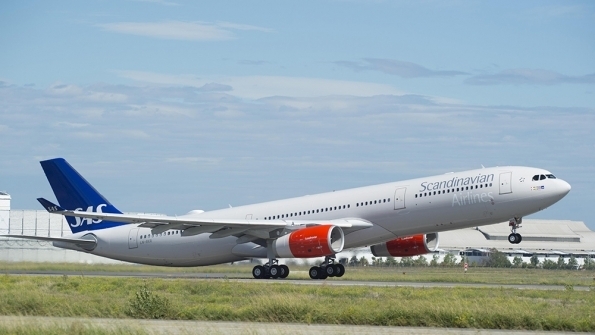 The A330-900, the first reengineer version of the family, is due to enter service by the end of 2017, followed by the smaller -800 a year later. 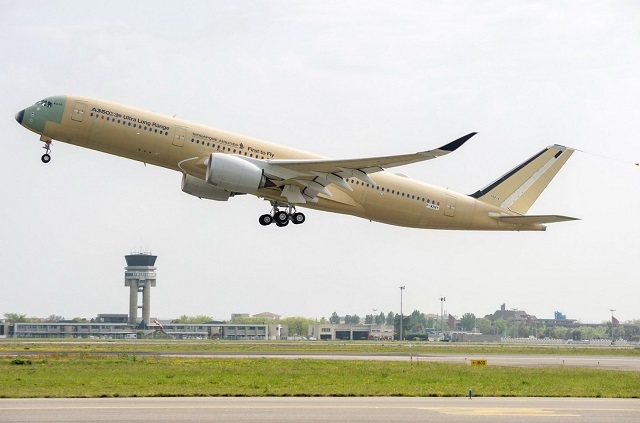 Airbus hopes the program’s lower costs – combined with the fuel burn reduction the new engines are expected to provide and the new cabin designed to align it with the larger A350’s interior – will be sufficient to counter the Boeing 787. 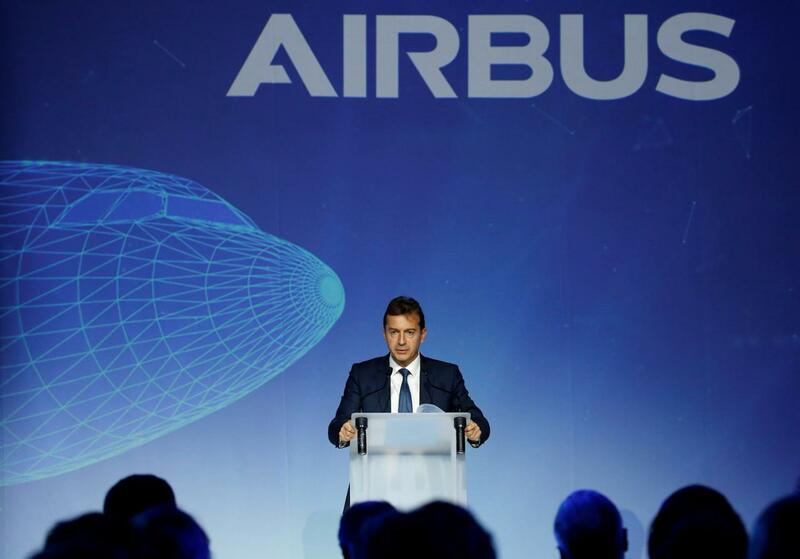 Airbus is well on the way to producing the A330neo subassemblies. The first wing is essentially completed in the Broughton, England facility with only the sharklets missing, and the second is close behind. Along with engines and the new cabin, the wing has seen the most modifications of the major components. At 64 m(210 ft), the A330neo wingspan has grown by 4 m (13.1 ft) over the the A330ceo’s and has been structurally reinforced to accommodate the Neo’s heavier engines. The wing-to-body-juncture also has been redesigned. 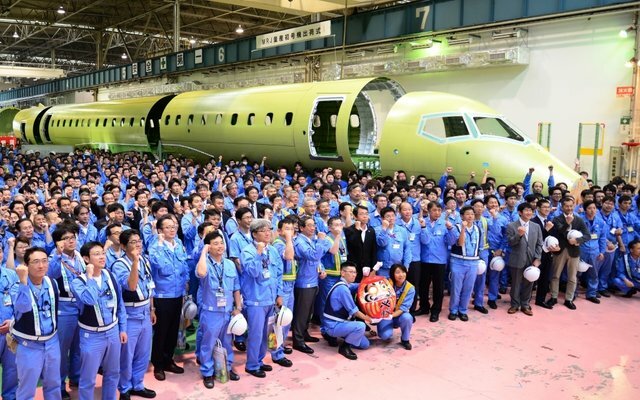 Mitsubishi Heavy Industries is set to begin final assembly of the first customer aircraft for the MRJ regional jet program, with various sections of the fuselage having been delivered to the MRJ final assembly hanger.In a newsletter, Mitsubishi Aircraft says it will work through the final assembly process, with an eye on delivery to launch customer All Nippon Airways in mid 2018. 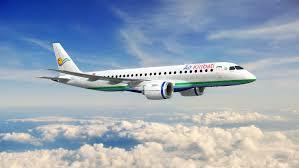 The Japanese airframe also gave an update of the MRJ flight tests, which are ongoing using two test aircraft. 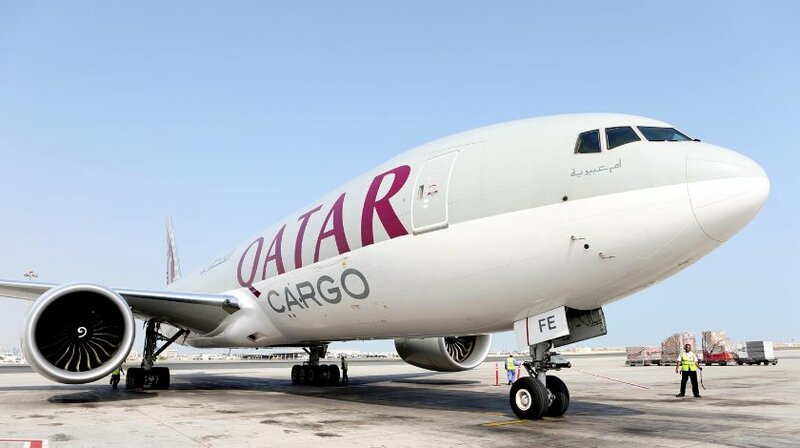 It says valid results have been obtained from FTA-2, which started flying on May 31st, including the confirmation of emergency response measures – such as flying with one engine, activation of emergency power units and stall tests. Various tests are also being carried out as the program prepares for ferry flight to Moses Lake, Washington State, this summer. These include the expansion of its flight envelop to it’s design specifications of a maximum speed of Mach 0.78 and a maximum altitude of 39,000 ft, conducting instrument flights,plus checking on terrain awareness, warning system and collision avoidance system. Its Moses Lake Flight Test Center meanwhile has been conducting flights using a small aircraft, rehearsing for the test missions ahead. Mitsubishi adds that preparations are underway for FTA-3 and FTA-4 to take their first flights this summer. 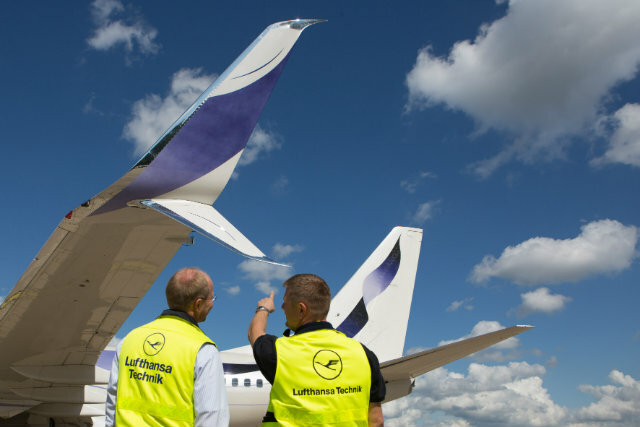 Bombardier delivered the first CSeries aircraft to Lufthansa subsidiary Swiss International Air Lines(SWISS), at ceremonies in Montreal on June 29th. 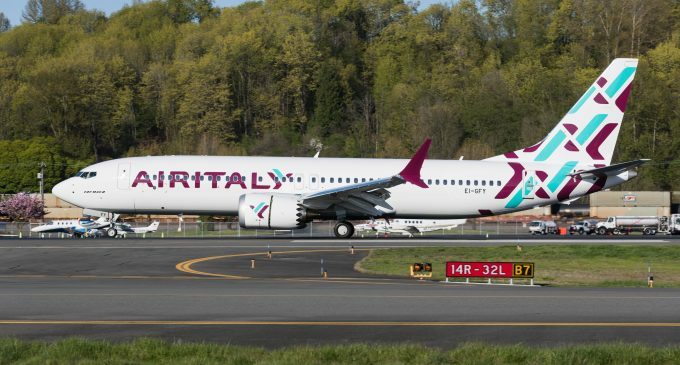 The delivery marks an important milestone in an aircraft program beset with technical problems, delays and difficulty securing customers. Swiss originally ordered 20 CS100 and 10 CS300s, plus 30 options, but then converted five 100s to the 300 variant. 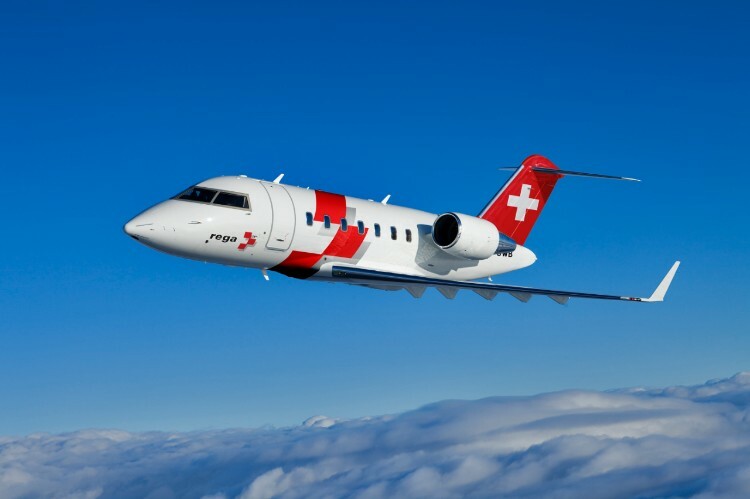 The handover should begin a process in which SWISS will receive nine aircraft by year end, taking one aircraft per month this month, August and September. After that, deliveries will increase to two aircraft per month. 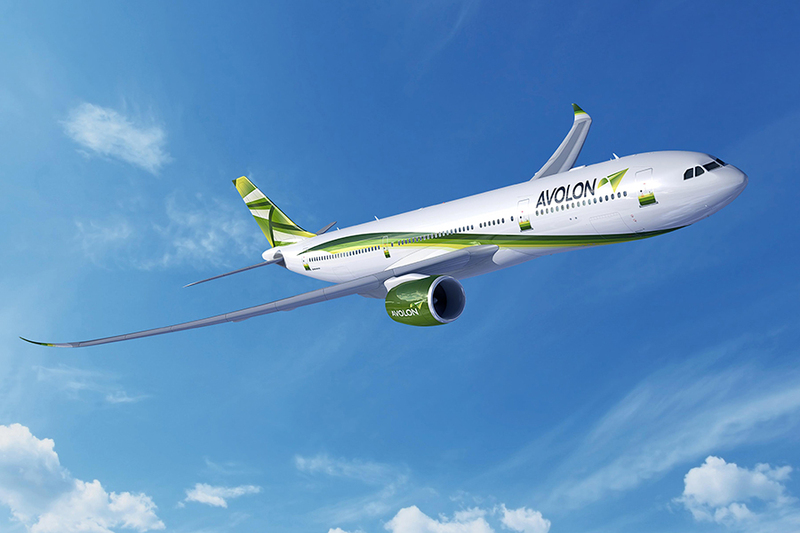 The first aircraft will enter service this month. On June 23, Bombardier signed a definitive agreement with the Quebec government for $1billion investment in the CSeries program. 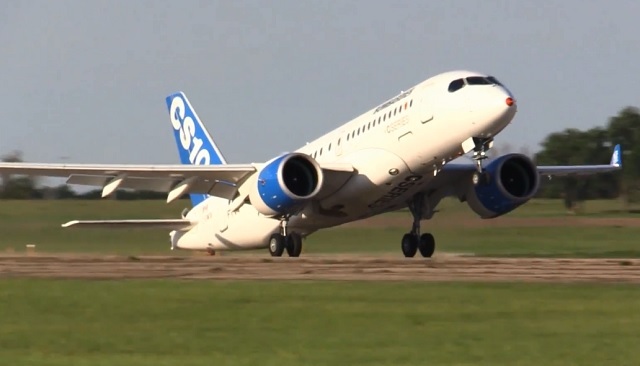 The assets, liabilities and obligations of the program have been transferred to the CSeries Aircraft Limited Partnership(CSALP) of which 50.5% is owned by Bombardier and 49.5% by the provincial government through Investment Quebec. The money will be used for cash-flow purposes, representing half of the $2 billion Bombardier says is required to take the CSeries program to cash-flow positive production in 2020. 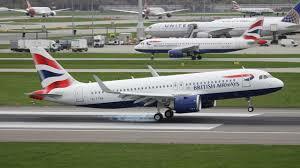 The Canadian federal government, meanwhile, confirmed it is continuing negotiations with Bombardier about investing in the CSeries partnership. Pratt & Whitney will invest $65 million in maintenance site near Columbus, Georgia, where the company maintains and overhauls PW 1000G geared turbofans (GTFs). The investment, which comes as the company embarks on massive GTF production ramp up, will help P&W ensure it has infrastructure in place to meet increasing maintenance demand, P&W said in a media release. 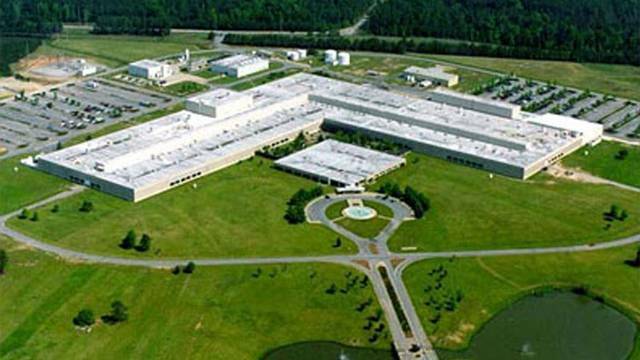 Also, later this year the company expects construction will begin on an additional engine test facility at the site in Columbus, which is about 90 miles(145km) south of Atlanta, P&W says. 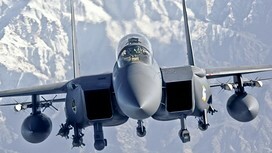 The company has orders for more than 7,100 GTFs, executives have said. P&W will manufacture about 200 of the engines this year, but the company forecasts production will hit 400 in 2017, 600 in 2018 and 1,200 annually by 2020, executives have said. The Columbus maintenance site is also where P&w is modifying a number of in-service PW 1100Gs to address a slow-engine-start issue, P&W aftermarket president Matthew Bromberg has told Flightglobal. 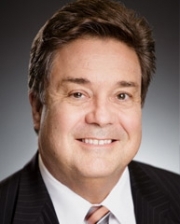 Air Lease Corp.(ALC) has appointed John Plueger as president and CEO, effective July 1, as current CEO Steven Udvar-Hazy assumes the role of Executive chairman of the board, a full-time officer role. 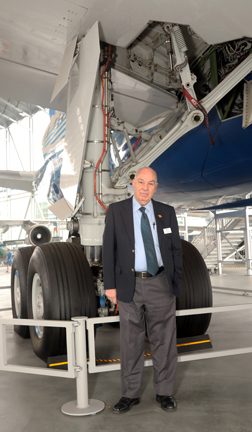 Steve Udvar-Hazy started ALC in February 2010, the company owns and manages 268 young and in-demand jet aircraft on lease to 88 airline customers around the world. 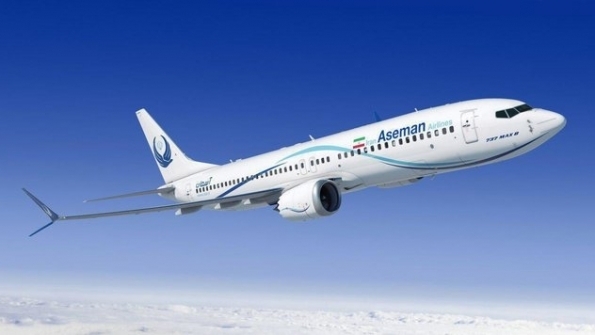 It has an order book of 386 new jet aircraft to be delivered from Airbus and Boeing through 2023. Plueger joined ALC as president, COO and board member in March 2010, shortly after the company was formed. 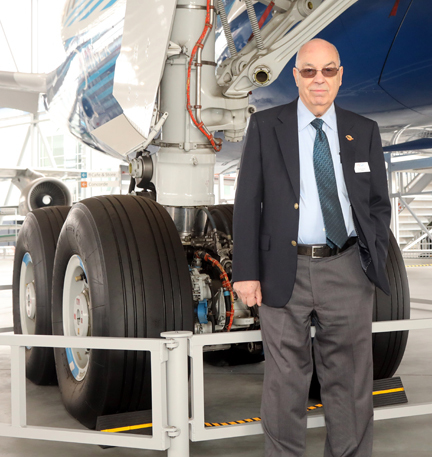 Plueger has more than 30 years of aviation experience, 24 of which were with International Lease Finance Corp.
Udar-Hazy said, ”John and I have worked together for over 30 years and I am extremely proud of what we have accomplished in six short years at ALC. I look forward to continuing to partner with John in my new role”. Emirates took delivery of its 80th A380 to join the Emirates the A380 fleet and the airline has another 62 on order including 21 to be delivered this year. Gulfstream G500 business jet program has reached another milestone with the completion of the ultimate load testing on June 16. 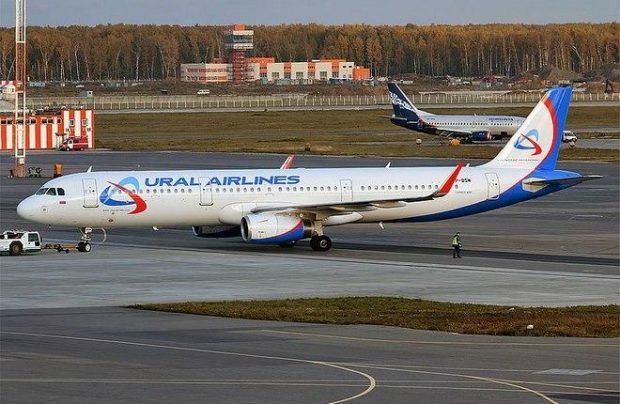 Irkut Corporation Russian aircraft manufacturer rolled out its MC-21-300 on June 8 at its factory in Irkutsk. 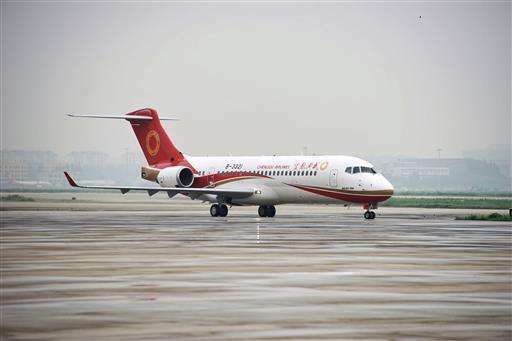 Chengdu Airline made its first commercial flight with China’s home grown ARJ21 on June 28 with 70 passengers on board. 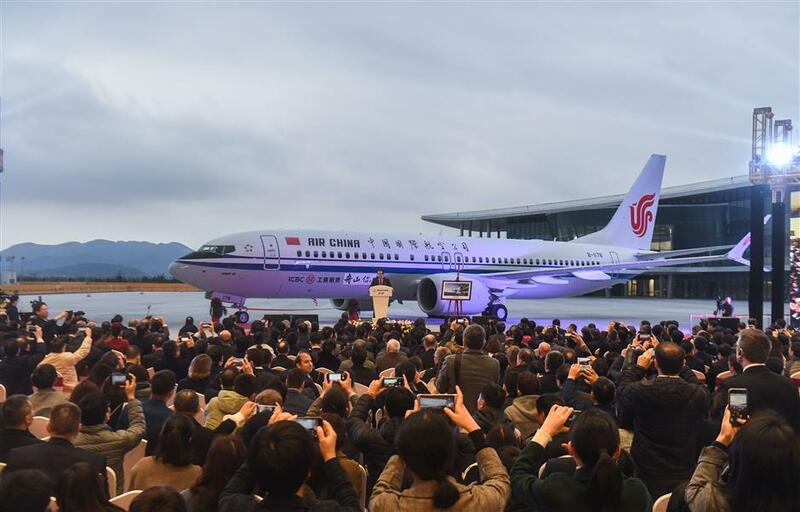 Chengdu is the launch customer for the ARJ21. 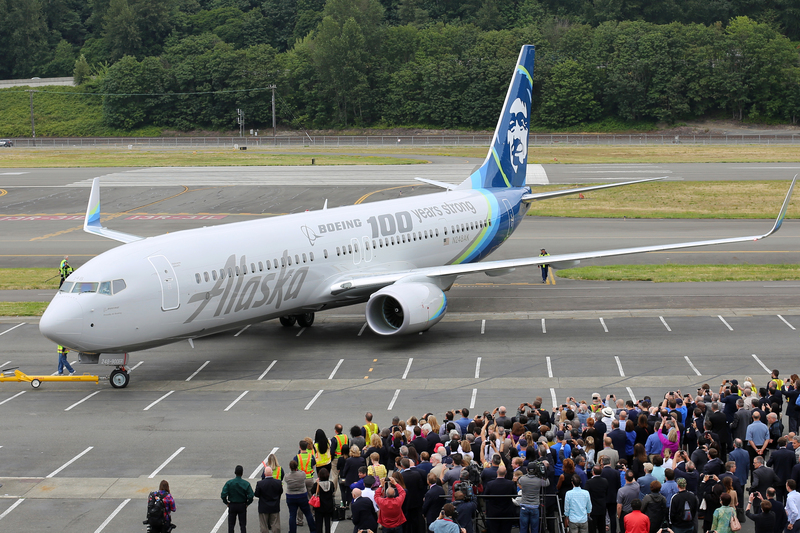 Alaska Airlines took delivery of a 737-900 painted in a special livery to celebrated Boeing’s 100th Birthday. 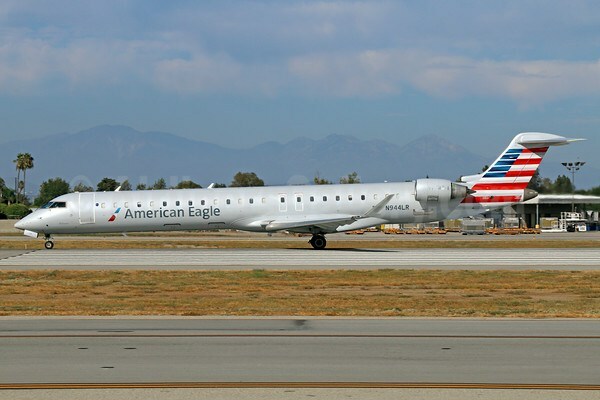 Bombardier Commercial Aircraft has announced that an unidentified customer has signed a firm purchase order for 10 CRJ900 aircraft. The agreement is valued at $472 million at list prices. HNA Group (Hainan Airline mother company) will become the biggest customer of both Airbus and Boeing aircraft within the next 10 years. Hainan Airlines welcomed its first Boeing 787-9 Dreamliner on June 10. 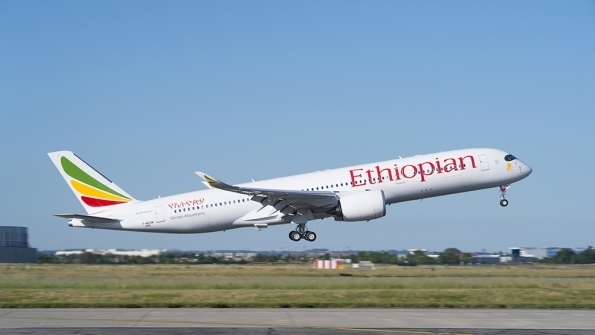 Ethiopian Airlines took delivery of the first of 14 Airbus A350 XWBs on June 28, making it Africa’s first operator of the type. Embraer E190-E2 has achieved first flight in Sao Jose dos Campos, Brazil, earlier than expected. 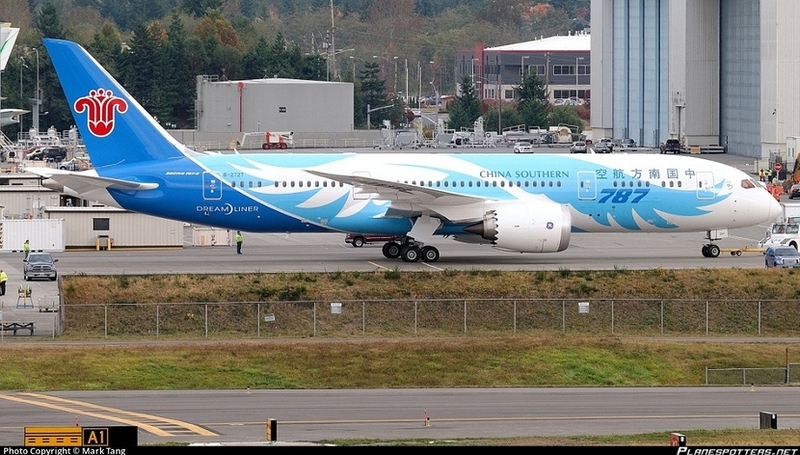 Xiamen Airlines will be the sixth airlines to fly from Seattle to China using the Boeing 787-8 Dreamliner. 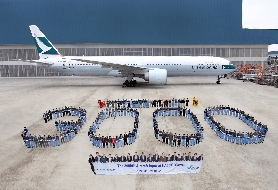 The three-times weekly service will connect to Xiamen, a city 360 miles to the northeast of Shenzhen. 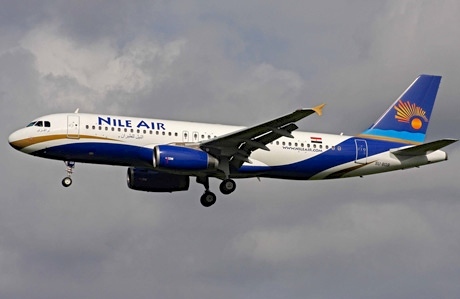 Nile Air, Egyptian based carrier, began operations from Cairo to Al Ain international airport in Abu Dhabi located on the Omani border. 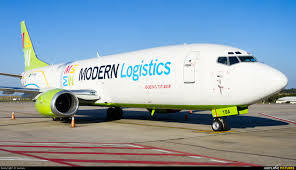 Package delivery company, FedEx Corp, owned 582 airplanes at the end of May 2015 and leased another 65 for a total fleet of 647 planes. Of the planes owned,241 were manufactured by the Boeing Company or by McDonnell Douglas prior to its merger with Boeing in1997. Another 29 Boeing planes were leased, bringing FedEx’s total Boeing fleet to 270 planes. 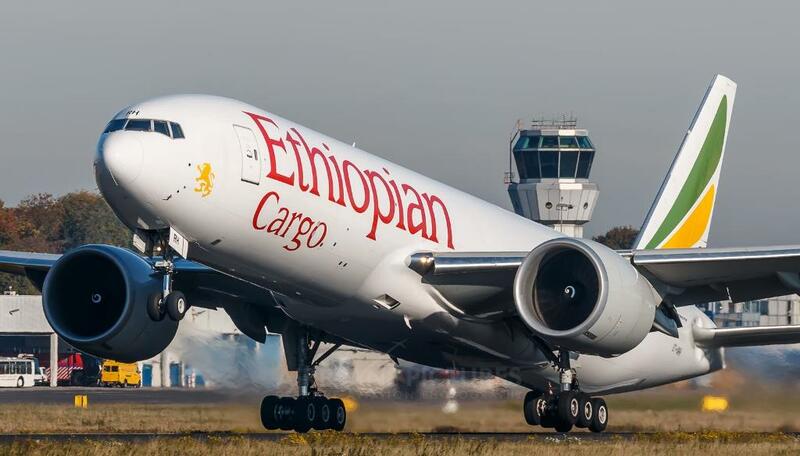 Boeing had also supplied FedEx with 21 767-300 cargo freighters at the end of May 2015 (the end of the most recent fiscal year for which the company has produced an annual report). FedEx ordered 50 more of the wide body planes last July with an option on 50 more. 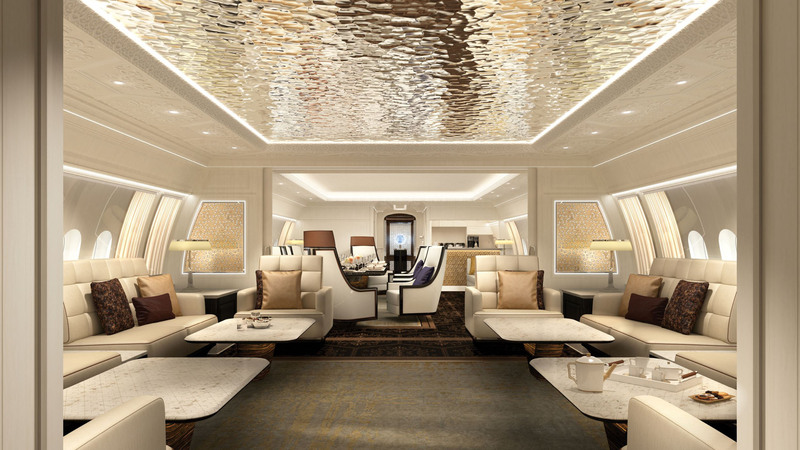 At list price of $199.3 million per plane, the order was valued at nearly $20 billion. Why buy an old design? it is simple to replace even older ones and reduce the variety of planes in FedEx’s fleet. 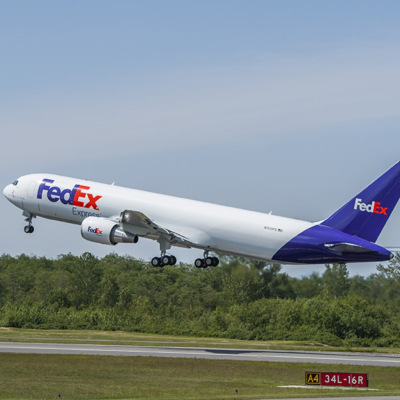 FedEx’s 767s average less than three years old. 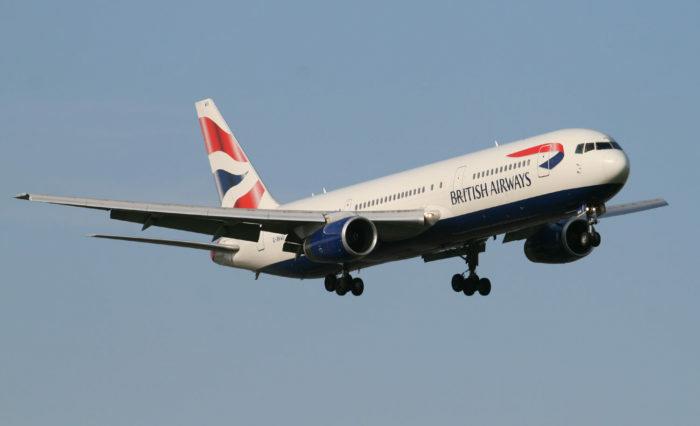 The 767 is also more fuel efficient and shares many parts with the 757s in the fleet; plus it is a great aircraft. 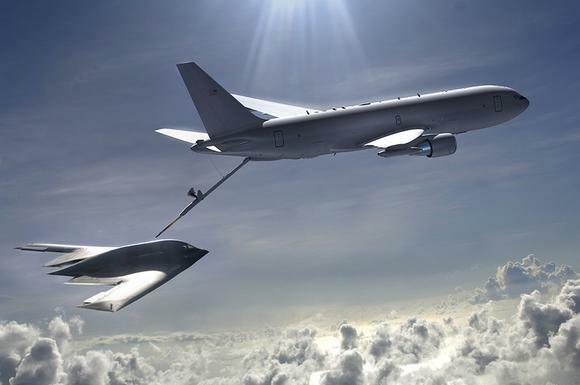 Because Boeing is building the Air Force tanker, The KC-46A, on the 767 airframe, FedEx is assured of spare parts for at lease another 40 years, the expected life of the tanker. Finally, FedEx reported 27 Boeing 777 freighters in its fleet at the end of November 2015, and in January the company said it had committed to another 16 at a list price of $318.7 per plane,for an order totaling more than $5 billion. Source : 24/7 Wall St/ Boeing Photo/Ed’s Research. 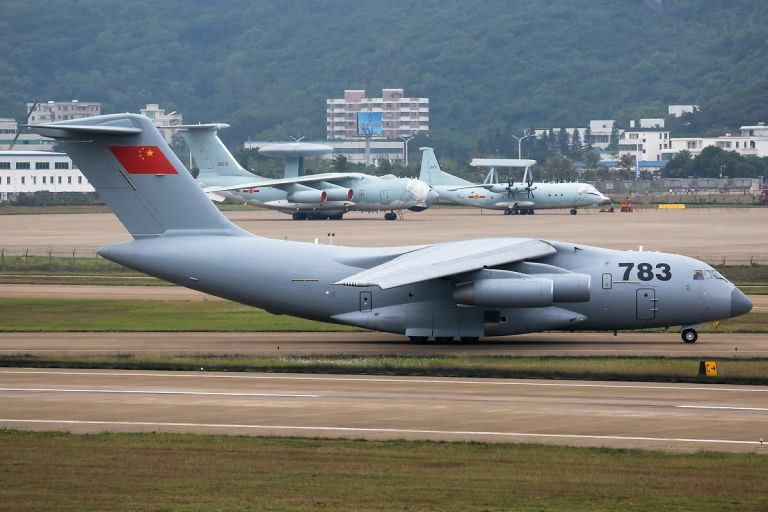 The Y-20 is China’s version of the C-17 Globemaster. The first Xian Y-20 military transport aircraft was delivered to the People’s Liberation Army Air Force (PLAAF) on June 15. Developed by Xian Aircraft Corporation, the Y-20 has an empty weight of 110 short tons, making it the largest military aircraft currently in production – larger than Russia’s Ilyushin Il-76. Boeing’s C-17 Globemaster III is bigger than the Y-20, the C-17’s empty weight is about 60,000 pounds more than the Y-20. Its payload capacity is 25,000 pounds more, but production stopped in 2015, making the Y-20 the biggest that currently rolling out of factories. The Y-20 has the official codename “Kunpeng” after a mythical Chinese bird, though it is nicknamed “Chubby Girl” for its appearance. The Y-20 is remarkably similar to the C-17. Currently the Y-20 uses four Russian made Soloviev D-30 turbofan engines; however, plans are to replace the engines with Chinese-made Shenyang WS-20 turbofans by 2020 to give the plane short takeoff capabilities and a greater range. Energy-harvesting windows, green diesel biofuel and a 3D-printed flight deck monument are three technologies that will be tested on the last series of flights of T U I G r o u p – b r a n d e d 7 5 7 ecoDemonstrator; destined to be dismantled by the end of this month. 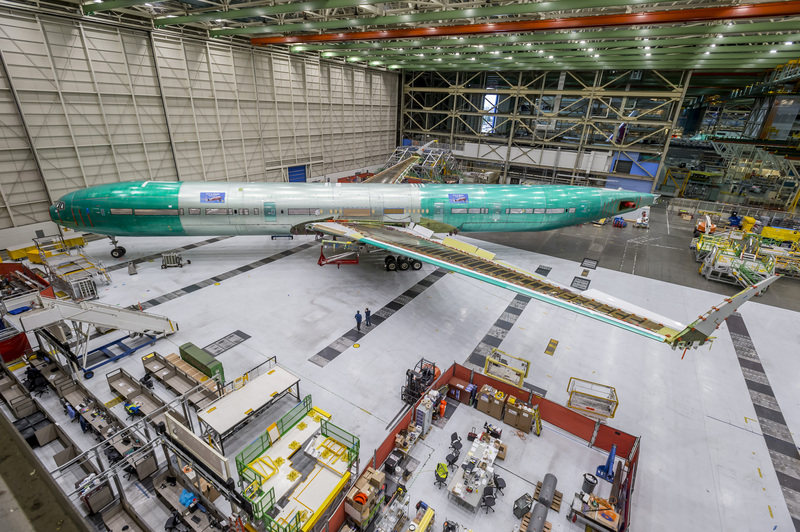 Boeing has partnered with the Aircraft Fleet Recycling Association to disassemble the 757 at the conclusion of the tests. 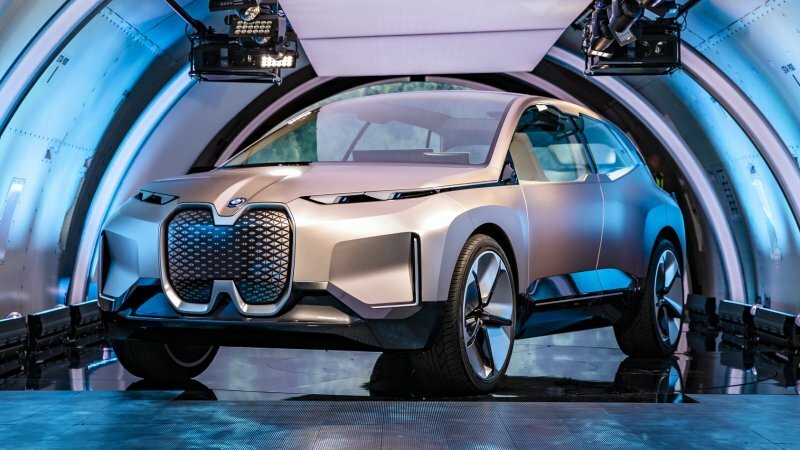 In the pioneering spirit of the ecoDemonstrator program; however, the disassembly will serve as an opportunity to validate a variety of new options for recycling the various materials and systems. 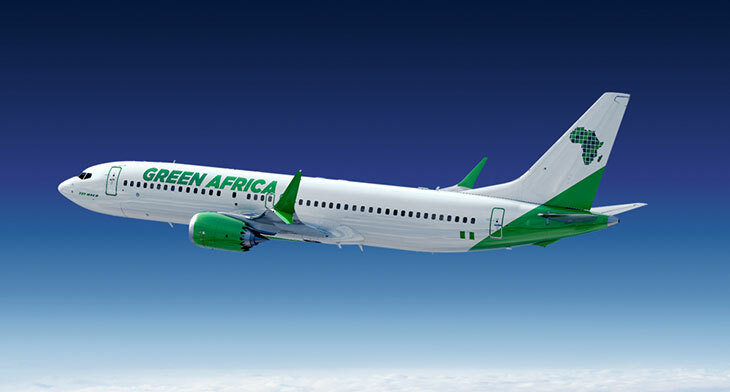 “We are going to recycle the heck out of the airplane”, says Jeanne Yu, Boeing’s environmental performance director, in a recent interview. “Boeing will look to recycle some components in the existing fleet or recycle pieces to be used in other ways on flying aircraft”, she says. 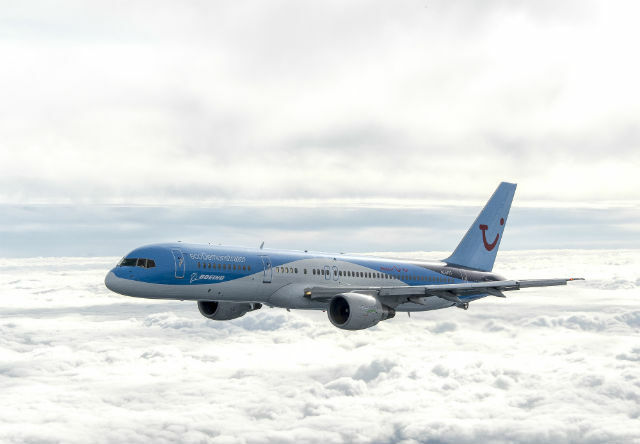 Until then, the 757 ecoDemonstrator will continue a new series of flight tests after a first series concluded two months ago. The 757 ecoDemonstrator follows a series of tests in 2012 on an American Airlines 737-800 and in 2014 a former 787 test aircraft. The first series of flights on the 757 focused on several drag-reducing technologies; such as an active flow control system mounted on a tail fin, bug “phobic” coatings on the leading edge of the right wing and a laminar flow-protecting Krueger flap on the left wing. Finally, the 757 ecoDemonstrator flight deck also features an aft aisle stand made using scrap carbon fiber material from the 787 production system. A3D printer was used to transform the crap material into the aisle stand. One of Airbus’s A380 test aircraft has demonstrated a new electro-luminescent display technology designed for external use on the aircraft. 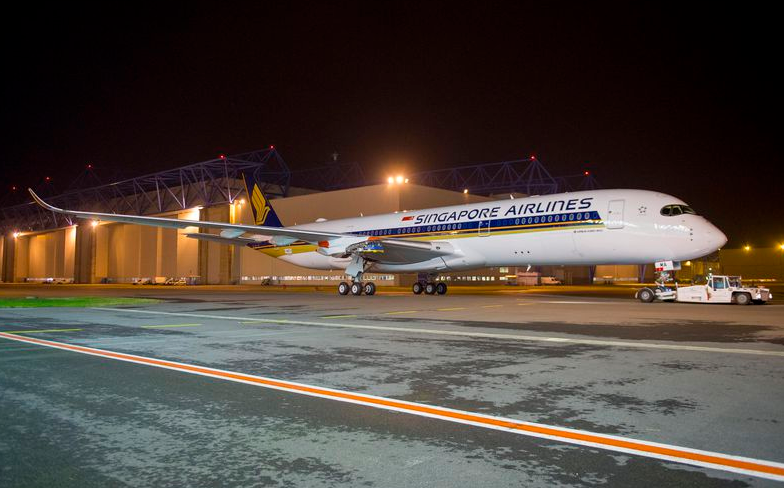 The technology developed by Safran division Aircelle, comprises thin markings which can be applied to the fuselage skin and engine nacelle to provide illuminated branding and logos using on-board electrical power. 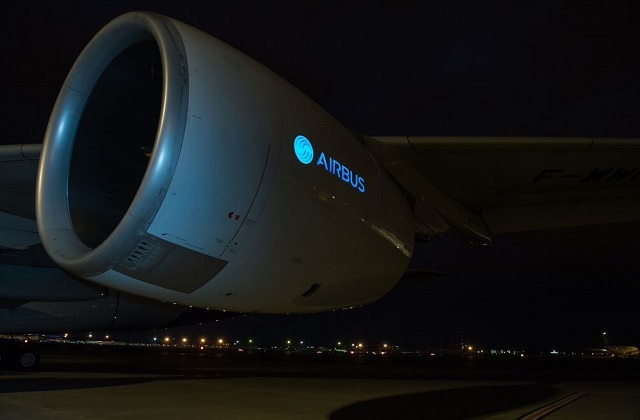 Initial airborne tests using A380 MSN1 were carried out at night on June 8th, with the aircraft featuring an Airbus logo on its outboard left-hand Rolls-Royce tent 900 power plant. Aircelle says the flight was able to demonstrate the “brightness, clarity and readability” of the marking in various lighting conditions. 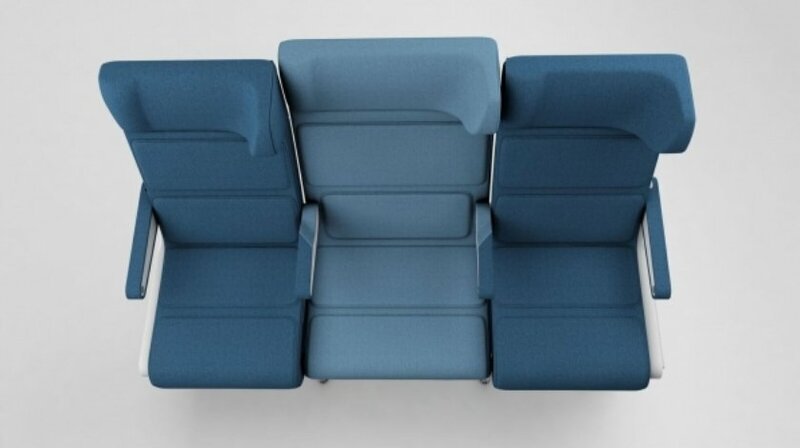 Aircelle showed the development at the Paris Air Show last month, Aircelle says that the display can be placed “almost anywhere” on the aircraft, including the underside of the fuselage and the tail. 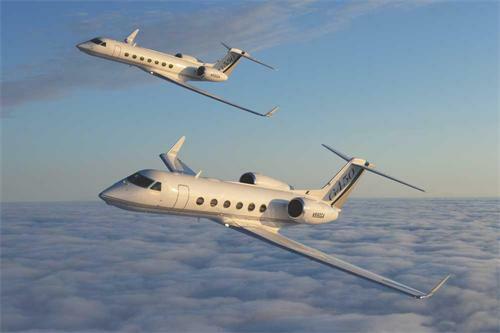 Gulfstream has received Us Federal Aviation Administration approval for a modification that allows operators of G450 and G550 aircraft to benefit from enhanced connectivity. Covering the installation of the Satcom Direct Router, (SDR) the enhancement simplifies cabin communications on the two twin jets. “This equipment elevates the airborne office to a new level,” says Mike West, vice-president product support sales and new business development, Gulfstream. The SDR also supports mobile applications for onboard cabin services, including moving map and flight tracker, command and control of satellite links and real-time connection status reporting. Installation of the SDR and accompanying software is standard on new G550 and G450 aircraft and available as a retrofit for in-service examples. Gulfstream is pursuing similar supplemental type certificates from the FAA to add the enhancement to G650/G650ER, GV and GIV aircraft. 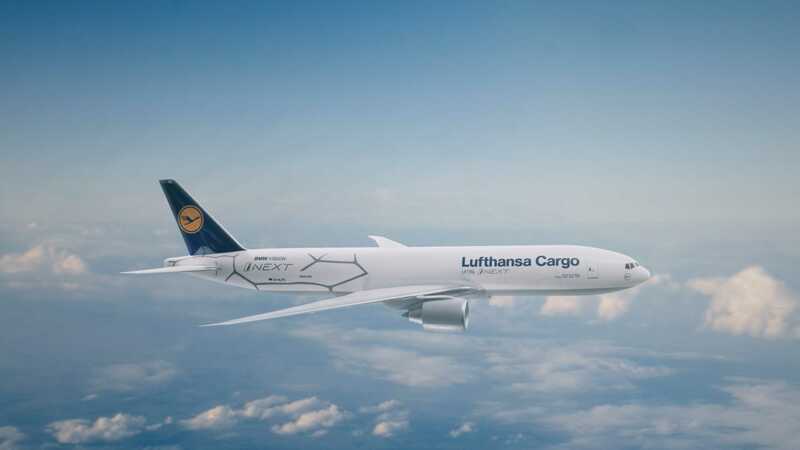 Lufthansa Technik is building a joint-venture overhaul shop with General Electric to service the engines powering Boeing 747-8s and the in development 777X. 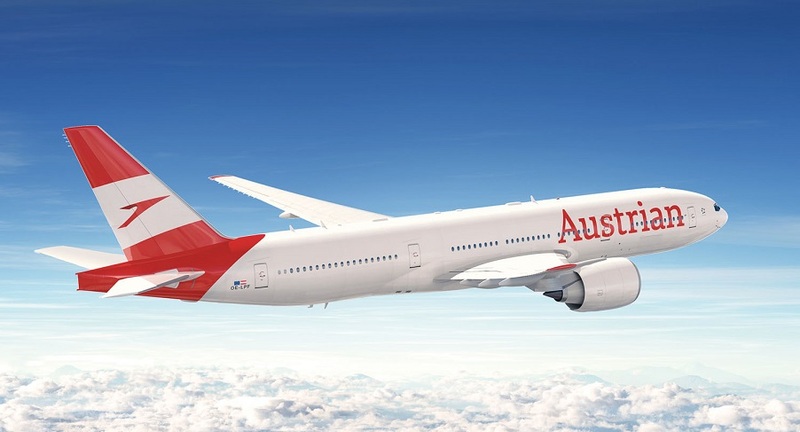 The two partners signed a tentative agreement at the Paris Air Show last month, though the closing of the deal will depend on regulatory approval, says the German MRO group. Lufthansa operates 747-8s and has 777Xs on order, but third-party clients’ engines will also be supported from the European facility. While the precise location of the operation has still to be decided, a 2018 opening is targeted. 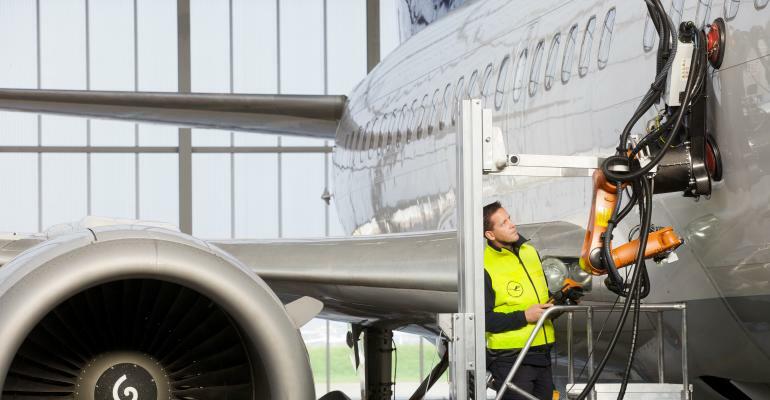 Lufthansa Technik’s own engine overhaul facilities – except for regional aircraft power plants – have traditionally been at its base in Hamburg. It has a shop for CFM International CFM56s and international Aero V2500s; plus a separate facility for large legacy types such as the CF 6. Capability to overhaul the 777X-powering GE9X promises to give the new joint venture access to a large party customer market, but there appears to be limited potential for services on the GEnx-2B, which equips the 747-8. 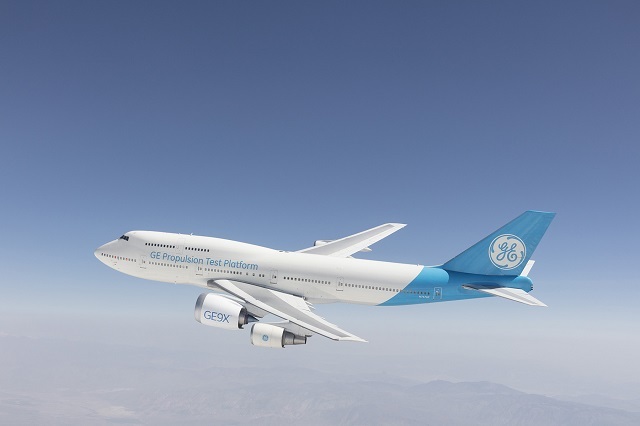 The site will form part of GE’s network of international repair facilities, and the two partners will cooperate on development of repairs and on-wing support services. Royal Jordanian Airlines is planning to expand its transatlantic network as traffic from Europe has declined as a result of political crises in the Middle East and North Africa. 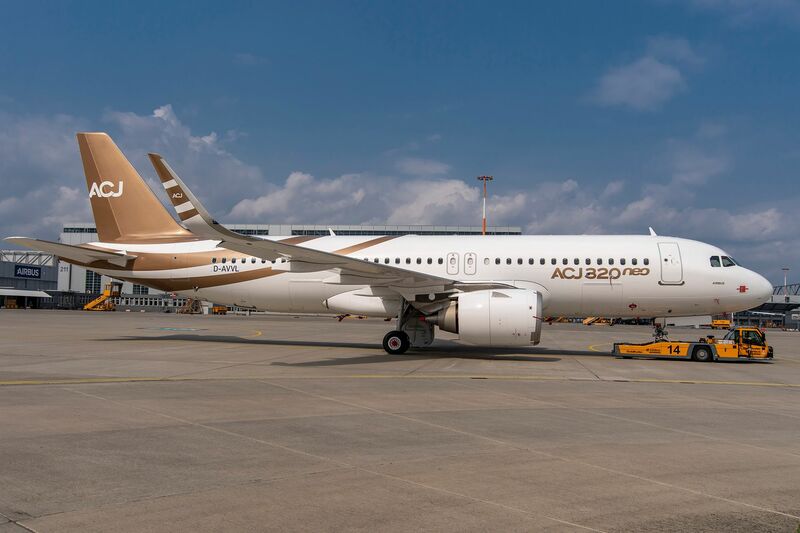 The airline lost “most” of its tourist traffic originating from European countries because travel packages often combined Jordan with Syria and Egypt, fleet and network planning director Eyad Birouti told Flightglobal at the Connect conference in Killarney in Ireland. 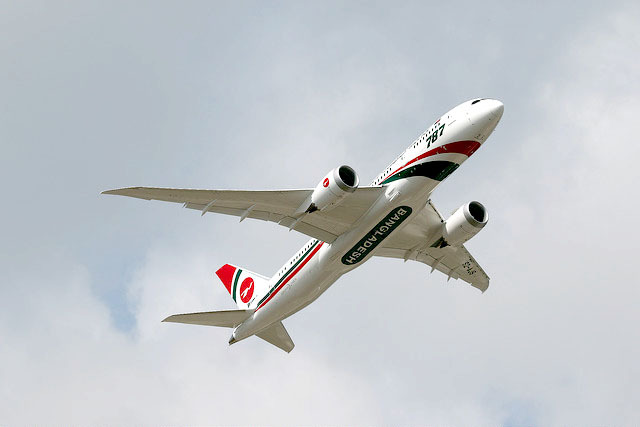 Washington DC and Toronto could be served nonstop from Amman with the airline’s five Boeing 787 fleet. But 787-8 flights to Los Angeles, with full payload, would require a fuel stop in Europe, said Birouti. Amsterdam, Dublin and Vienna are among the cities being investigated as potential stopover points. The carrier is also planning network expansions in Africa and Asia to compensate for declining traffic from Europe, said Birouti. 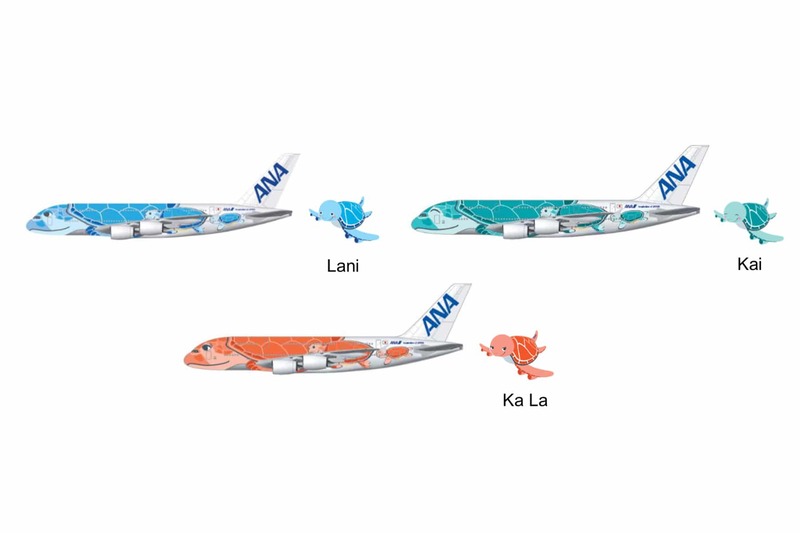 Connecting flights to the Asia-Pacific region could be a way of filling aircraft on existing routes from Europe. 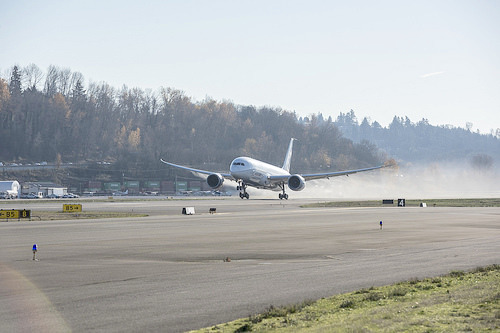 Rolls-Royce is close to completing a round of testing on the latest version of the Trent 1000 engine for the Boeing 787, according to the Arnold Engineering Development Center (AEDC) in the USA. Since earlier this year, AEDC has hosted an R-R team performing altitude operability performance and icing tests on engine serial number 11003, one of several prototypes developed to certificate the Trent 1000-TEN upgrade. 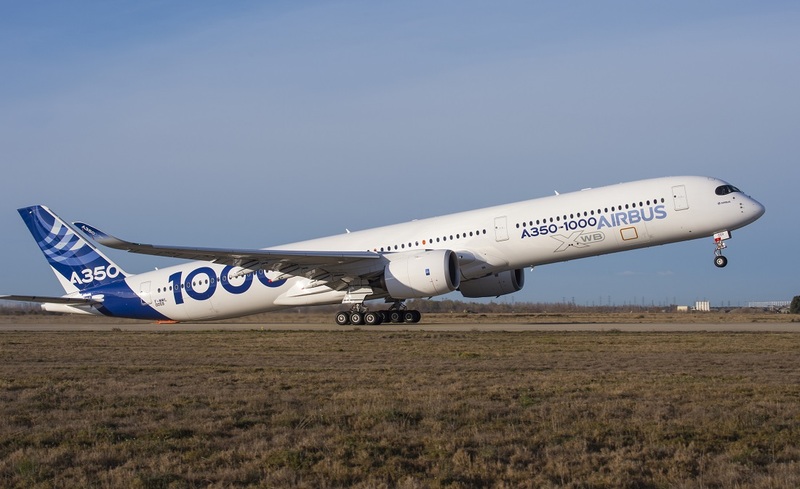 The tests on engine 11003 have been “fantastically successful”, according to Tom Schmidt, a project manager for Aerospace Testing Alliance, which was overseeing the testing by AEDC. That echoes comments by R-R executives last month, who said the then-ongoing testing at AEDC had shown better fuel efficiency for the Trent 1000-TEN at higher altitudes. The TEN upgrade migrates several features developed for the Trent XWB engine back into the lower-thrust engine for the 787. The new features include a rising-line compressor and a three-stage blisk at the front of the high-pressure compressor section. 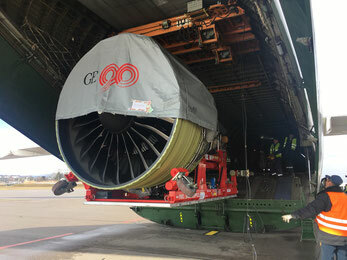 Rolls-Royce has predicted that the Trent 1000-TEN upgrade will provide a 3% advantage on fuel consumption on short flights to 3,000nm; compared to the competing GE Aviation GEnx-1B engine. GE Aviation and Woodward Inc. have formed a 50/50 venture to design, develop, source, supply and service fuel systems for GE90,GEnx, GE9X and future GE large commercial engines. 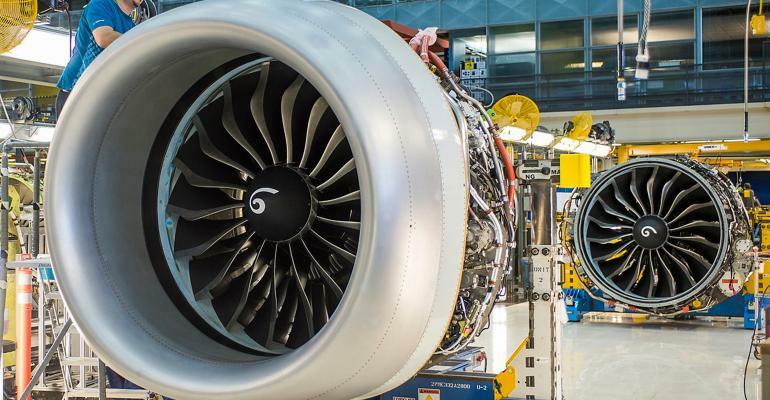 According to GE Aviation, production rates for its jet engines and components have increased significantly over the last five years; with large commercial engine production more than doubling to close to 500 engines in 2015. GE Aviation said that under the terms of the joint venture agreement, Woodward will receive $250 million in cash, and the parties will participate jointly in the operating results of respective programs. United Airlines will spend $100 million to acquire a 5% stake in Azul Brazilian Airlines. 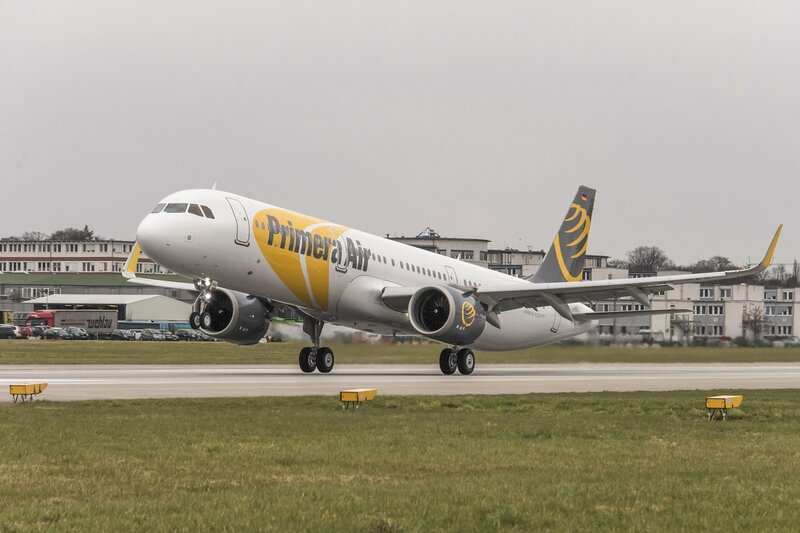 The two carriers have entered into a strategic partnership that will include code-sharing and reciprocal loyalty program benefits. 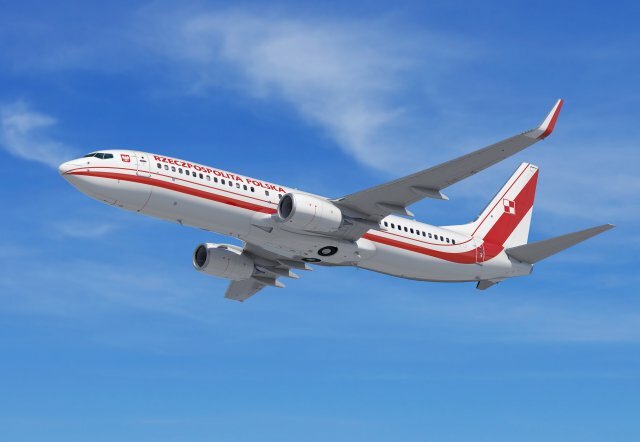 GE Capital Aviation Services Limited (GECAS) has completed a purchase-and-leaseback transaction with Lion Group subsidiary PT Batik Air Indonesia for four new Airbus A320s. Avolon delivered a Boeing 737-800 to Hainan Airlines. This delivery is Avolon’s first aircraft on lease to Hainan Airlines. 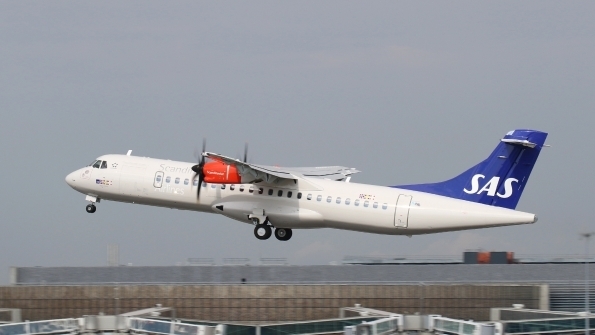 Bombardier has delivered its 500th Q400 turboprop aircraft to Calgary-based WestJet Encore. 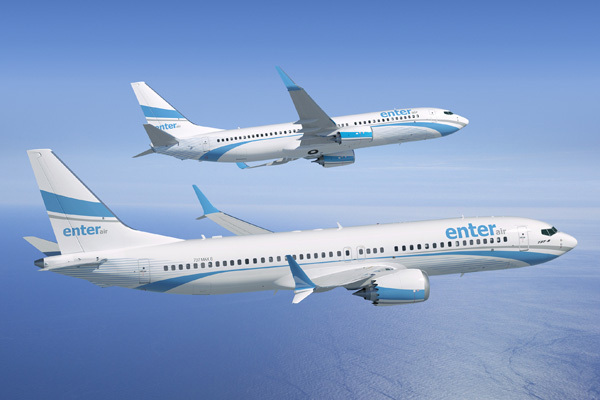 Enter Air announced an order for two 737MAX 8s and two Next-Generation 737-800s. 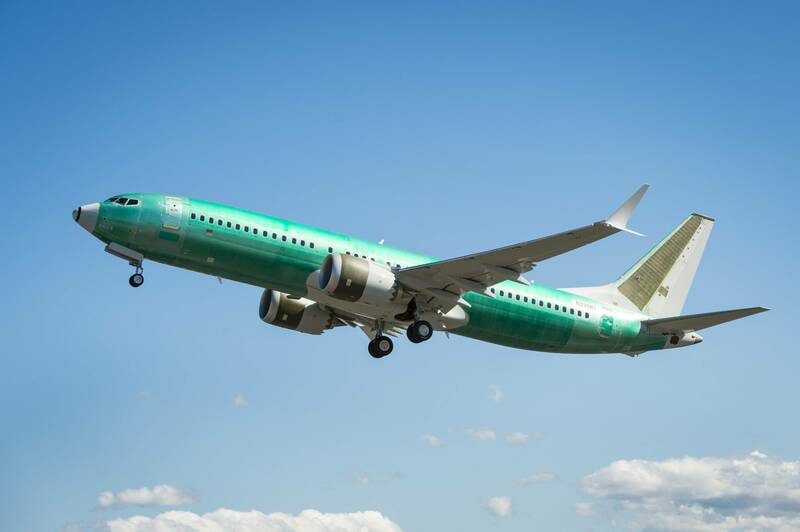 It is the first direct order for Boeing from the Polish charter carrier. 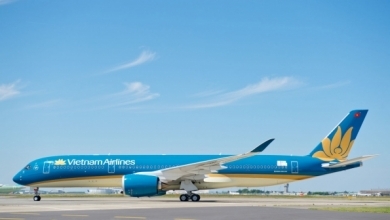 Vietnam Airlines took delivery of its first Airbus A350-900, becoming the second operator of the type. 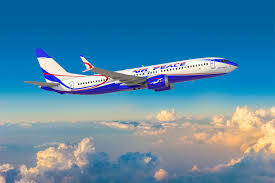 Transaero Airline has expanded its European Aviation Safety Agency’s (EASA) certificate to include performing C checks on Boeing 737 Classic and 737NG aircraft. 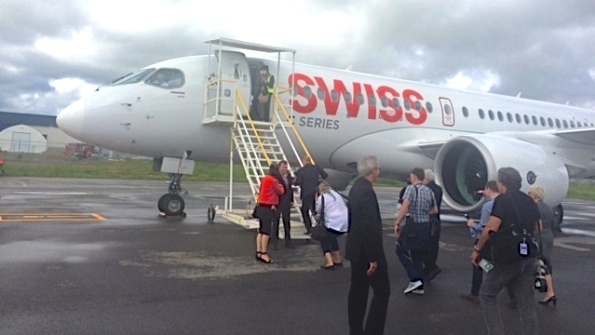 Swiss International Air Line has confirmed that it will be the first operator of the Cseries, with service entry slated for the first half of 2016. 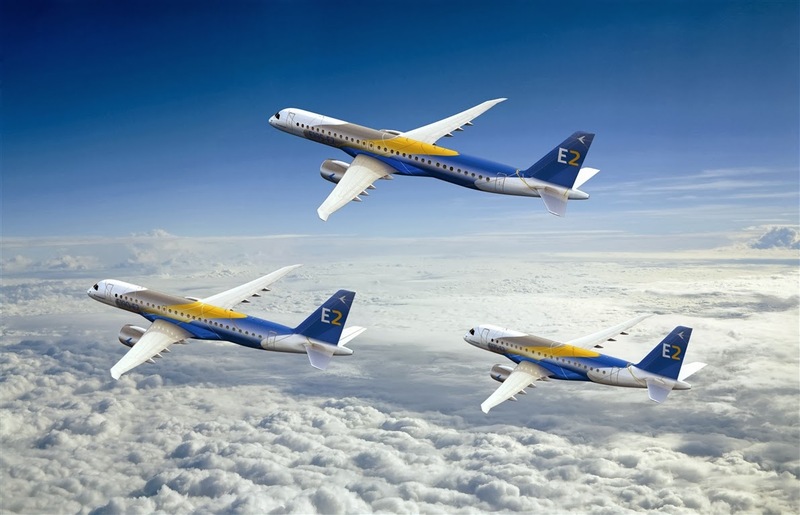 Embraer has secured firm orders from three airlines and one aircraft lessor for a total of 50 E-Jets, evenly split between the current generation and the E2 variants. Saudia became the launch customer for the A330-300 Regional with a firm order for 20 of the aircraft plus a firm order for 20 A320ceos. 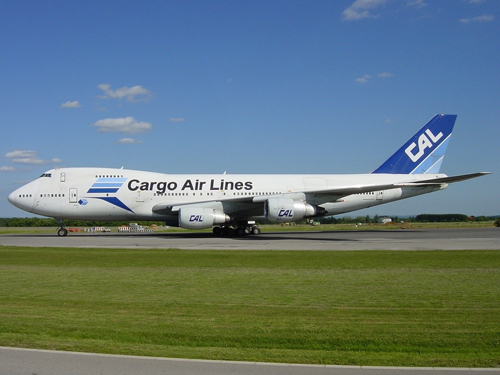 CAL Cargo Air lines has launched “CAL Express”, service specifically designed for the transportation of aircraft engines. Under the new service, the carrier will transport every size and type of aircraft engines around the world, using 747-400s. CAL is also qualified to deal with dangerous goods, so the carrier will be able to transport non-purged engines as well. 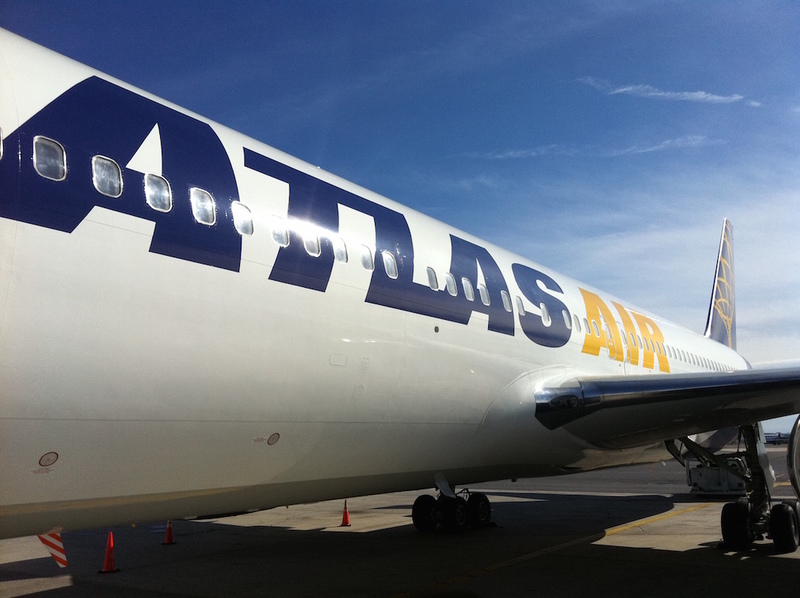 This new service also includes ground-handling, storage and road-feeder services. 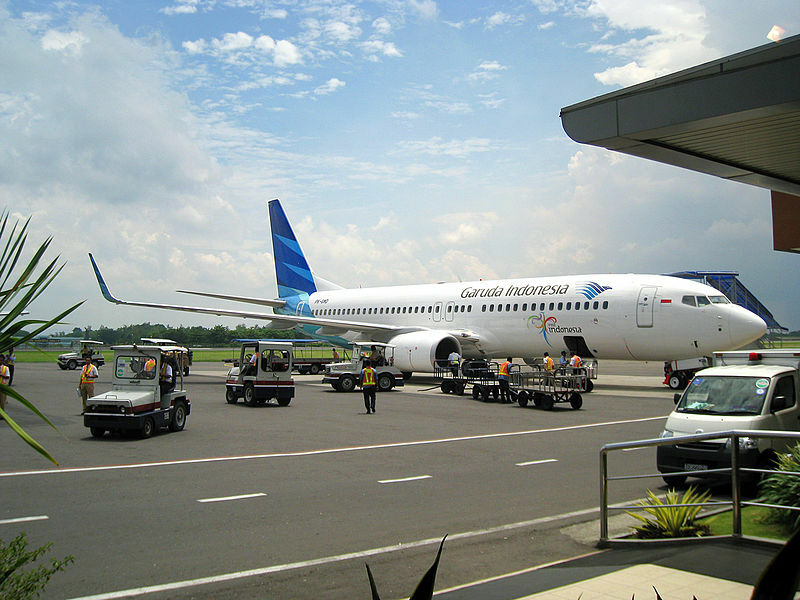 In the case of aircraft on the ground, CAL is including expedited customs clearance and transit time, as well as charter options. 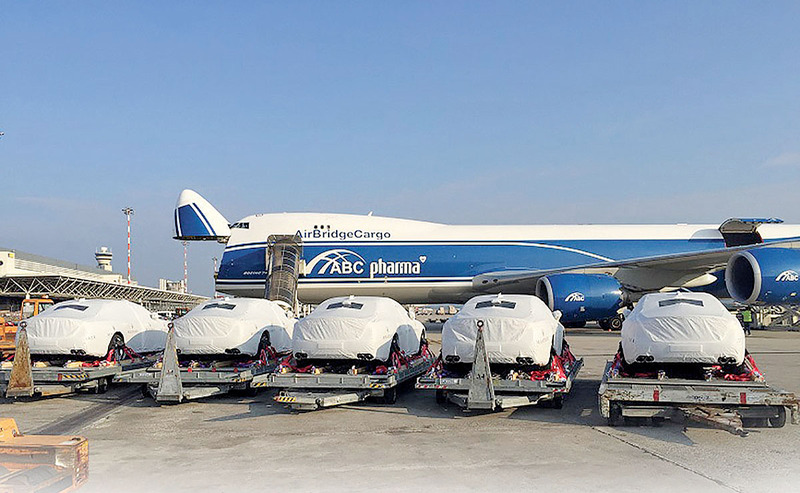 According to Eyal Zagagi, CEO of Cal Cargo Airlines, one of the reasons CAL Engines was created in response to a 25% per year increase in engine transport business over the last few years. It is no surprise that DHL’s largest U.S. hub is in Cincinnati. 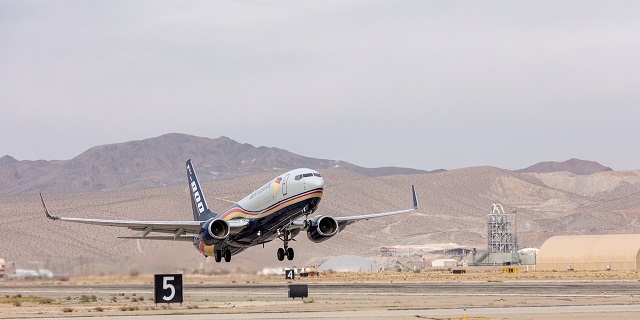 Its central location allows the express carrier to best reach the U.S. East and West coasts from a flight timing perspective. Since its exit from the US domestic express market in 2009, DHL has set its sights on growing in international service to/from that country. DHL invested US$108 million to upgrade and expand its American hub at the Cincinnati/Northern Kentucky Airport (CVG). 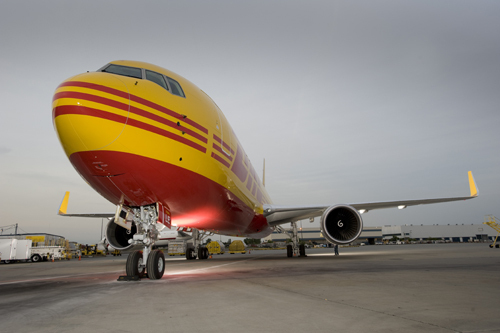 Travis Cobb, DHL’s senior vice president, network operations Americas, said part of the investment would be for a new apron to accommodate an additional 18 aircraft. The remainder would be used for infrastructure, including warehousing and automation. The Cincinnati hub is one of three global DHL hubs – the others are Leipzig,Germany and Hong Kong. Globally, Cincinnati is second in size and volume only the Leipzig hub, processing approximately 46 million international shipments annually. 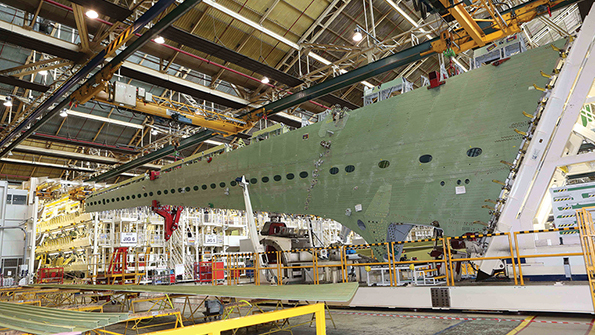 Workers assembling Boeing’s biggest Puget Sound area military contract are preparing to lift its production rate; now that the first group of P-8A submarine hunter aircraft have proved to be a good investment for the government. The planned increase to 1.5 aircraft monthly will be dwarfed by the 42-monthly rate for the civilian version from the same Renton site. 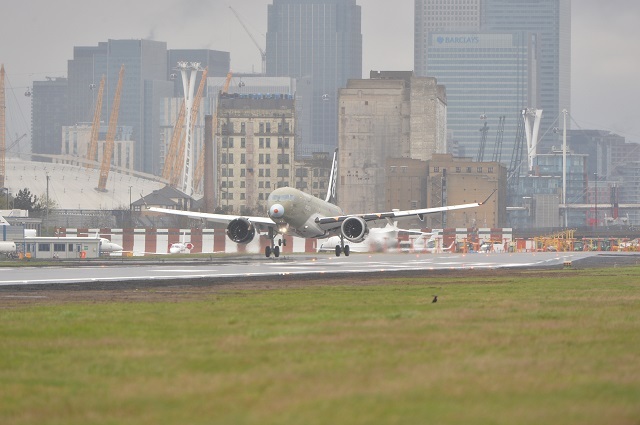 It is a significant step for the P-8A. The P-8A Poseidon is an important contract for Boeing’s military side, and it is also important for the Puget Sound area. In February 2014, Boeing won a $2.4 billion contract for the first 16 of the full-rate jets. Eventually, the Navy wants 117. The P-8A contract is important for Boeing and the region; partly because of the revenue it’s pulling in, partly because the program is running so smoothly. 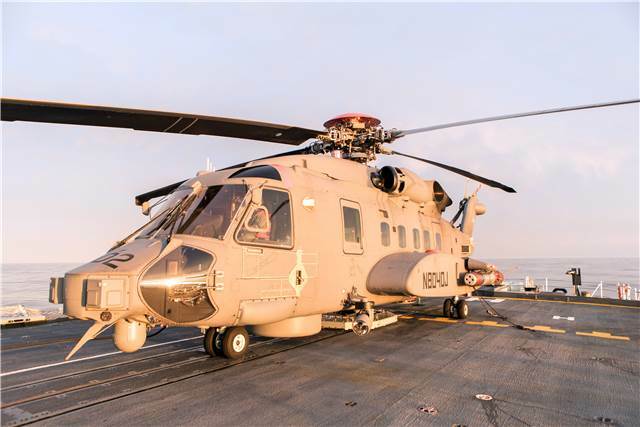 The Royal Canadian Air Force has accepted delivery of its first six Sikorsky CH-148 Cyclone maritime patrol helicopters, making a major step forward for the Sea King replacement program. The Total value of the Cyclone acquisition is $7.6 billion,including $1.9 billion for development and production of 28 helicopters and$5.7 over 20 years for service contractor support. The twin-engine, medium-lift Cyclone is derived from Sikorsky’s civil S-92 and is designed for shipboard maritime surveillance and rescue operations on Canada’s east and west coasts. The cyclones will replace 27 long serving Sikorsky CH-124 Sea Kings that have been in constant operation since 1963 and are the oldest aircraft in the RCAF inventory.